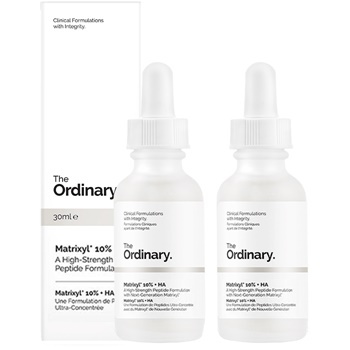 The Ordinary DOUBLE VALUE PACK 2 X Matrixyl 10% + HA - 30ml Bottles. A High-Strength Peptide Formulation. Matrixyl is a trademarked peptide composition developed by Sederma in France. This highly-effective composition has been shown to reduce the look of static and dynamic wrinkles. 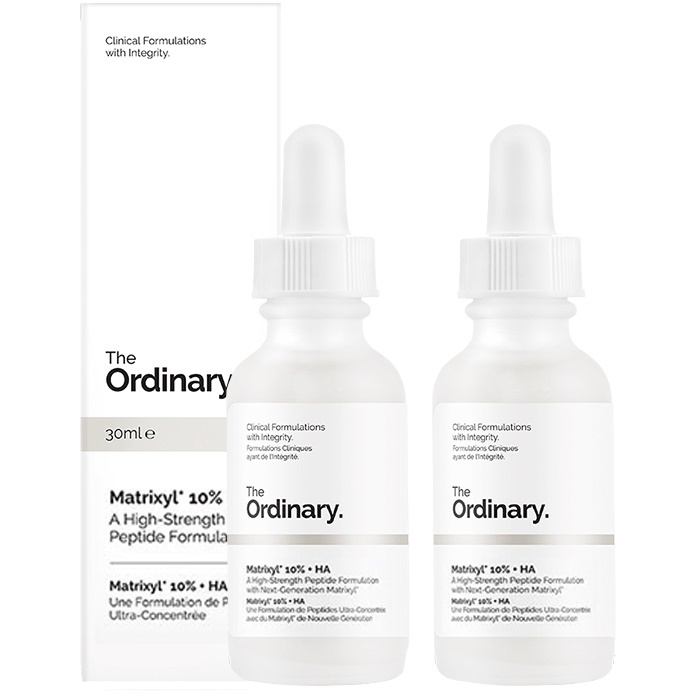 This formula contains two generations of Matrixyl, Matrixyl 3000 and Matrixyl Synthe'6, at a combined concentration of 10% by weight in a specialized Hyaluronic Acid delivery system. The peptide in Matrixyl 3000 is palmitoyl tetrapeptide-7 and the peptide in Matrixyl Synthe'6 is palmitoyl tripeptide-38.